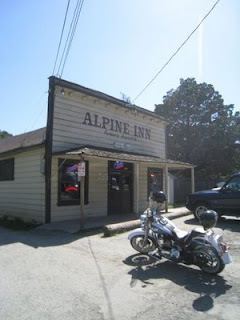 I grew up in Menlo Park and spent every Saturday afternoon of my formative years at the Alpine Inn. The owners kids lived next door to us. I'm glad to see nothing has changed, the burger pictured looks like the last one I had about 35 years ago. Thanks for the trip down memory lane. Clarify the location by fixing the typo in your title from VA to CA. I live in VA and was thinking, "Where the heck is Portola Valley? 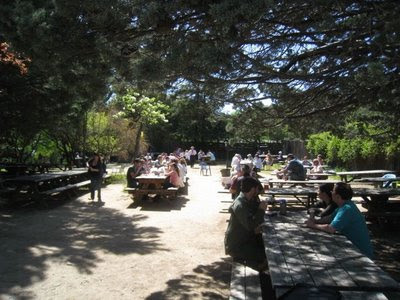 I've never heard if it and have to go check out these burgers!" Sorry about the type-o moving Zott's from CA to VA. I have fixed it. 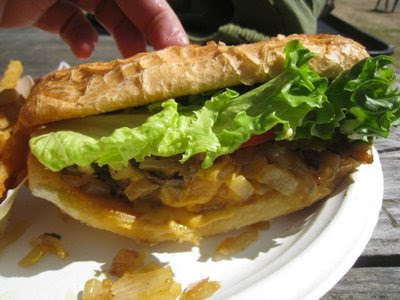 What are some good spots for burgers in Virginia? Also, the original name was "Rosotti's" not "Risotti's."